Many crypto enthusiasts out there struggle with storing different cryptocurrencies. There are many individual wallets for specific cryptocurrencies, but that does not suffice for people who deal in multiple coins. As is evident from the name, multicurrency wallets are wallets where you can store multiple cryptocurrencies at a time in a single place. This is possible due to a concept called HD wallets where several wallets can be made using a single seed or mnemonic phrase. One such multicurrency wallet that has been serving crypto enthusiasts for a while is Jaxx wallet. CoinSutra has also used this wallet and talked about it in a post (Top 5 Best Bitcoin Wallets That You Should Use). Therefore, today, we will talk about its pros & cons. It is a multicurrency HD wallet like I mentioned earlier, and its development team is also quite active. With Jaxx, one can store more than 60 coins and tokens all at one place. Plus, it is a self-hosted wallet where you control your seed & PIN. He anticipated a Netscape-like change happening due to the cryptos and hence conceived the idea of Jaxx wallet. 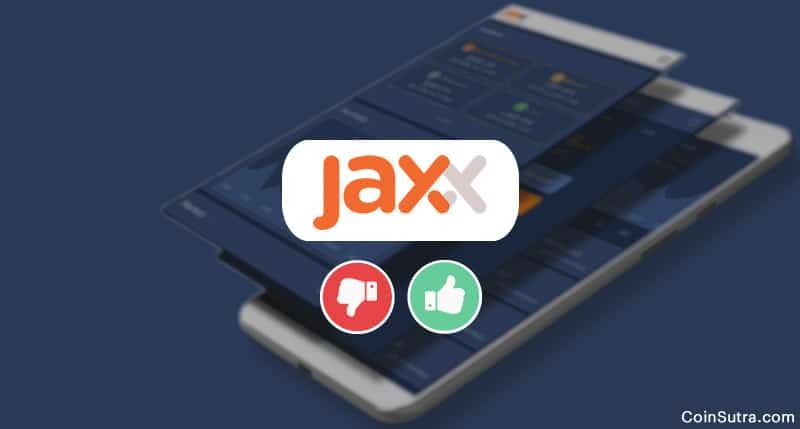 Jaxx currently supports more than 65 currencies which include cryptocurrencies & ERC20 tokens. Imagine managing a separate wallet for every type of coin you have! Sounds frustrating, doesn’t it? Therefore, Jaxx multicurrency wallet is a boon for people who often deal in multiple currencies, irrespective of whether they are trading or HODLing. Jaxx’s UI is very intuitive. You can figure out that a lot of work has gone into designing it just by one look at its UI. The UI proves to be extremely helpful for those using crypto wallets for the first time and are not as technical. 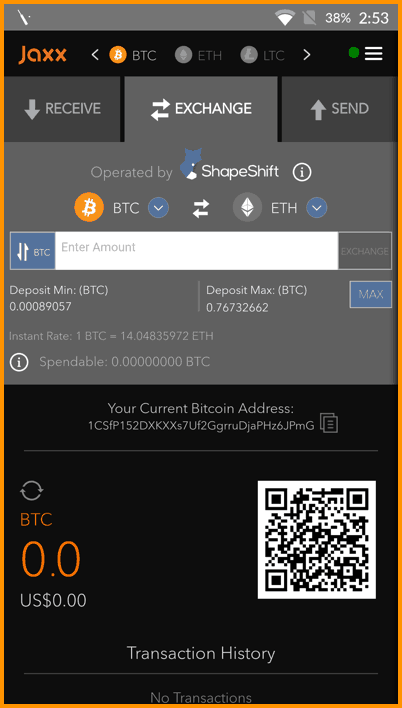 Jaxx is one of the first multi-currency wallets that started integrating services like shapeshift into it, which helps users convert one coin to another in the app itself. This gives a lot of options to an investor and gives them the freedom to take decisive actions in the app itself. 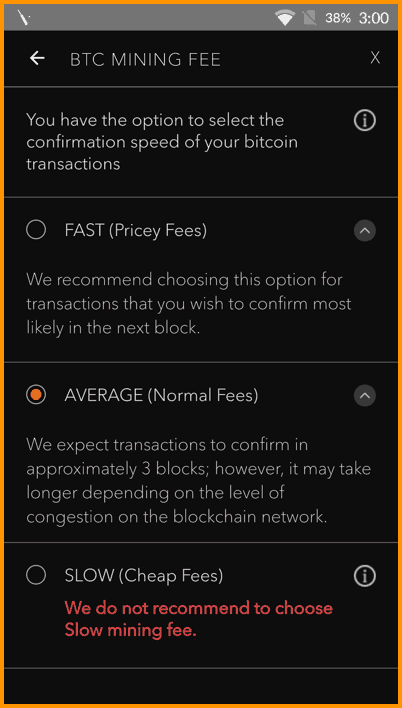 Jaxx provides three custom fee options – from slow to high fees for faster transactions. However, it is not recommended to use slow fee as it might take days for that transaction to get mined. Instead, you should use average or the fast fee option for easy confirmation of your transactions. QR scanners have become standard in mobile and desktop wallets. That is because they are much safer than copy-pasting your address keeping in mind human errors. 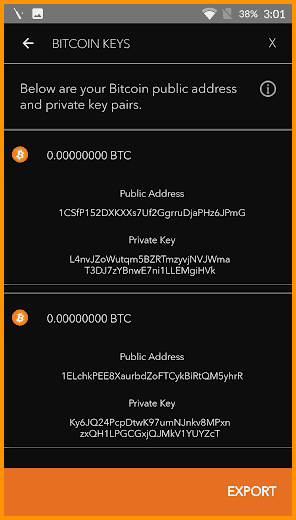 Being able to import private keys is a must-have in a software wallet. Needless to say, Jaxx has it. Using Jaxx, one can import keys for popular coins and import/sweep their paper wallets effectively. Also, their export functionality is quite good where you can export your private keys or see your seed again when needed. For those of you who don’t know, Jaxx is a hot wallet. Hot wallet means it is a wallet always connected to the internet because of your mobile or desktop. Hence, storing a large sum of cryptocurrencies on it is not recommended. Despite repeated warnings, some people do that and thus suffer. In June 2017, a Jaxx user lost around $400,000 in Ethereum & Zcash from Jaxx wallet due to a vulnerability in the Jaxx software. And yes, there was a bug in the software as accepted by Jaxx team later but my first reaction was who keeps so many coins in a hot wallet? And secondly, I found out that the vulnerability in Jaxx was known to Jaxx team which they didn’t fix earlier. The vulnerability, as found out by VX labs, enables the attacker to extract your 12-words seed. Such a statement from a popular wallet company is rather irresponsible. The user who kept so much money in a hot wallet was also at fault, but the company could have handled this issue in a much better way. Also, by looking at the problem, it doesn’t seem that the actual vulnerability wasn’t unfixable at the right time which could have saved the user’s money. Universal wallet with multiple currencies. Good wallet for beginners and intermediate users alike. High accessibility. Supported across many platforms and devices. In my opinion, though this was the first mistake from their end, they could have handled better. It implies to an extent that their team is not as committed. And as an unbiased reviewer, I must highlight this side of the wallet too. 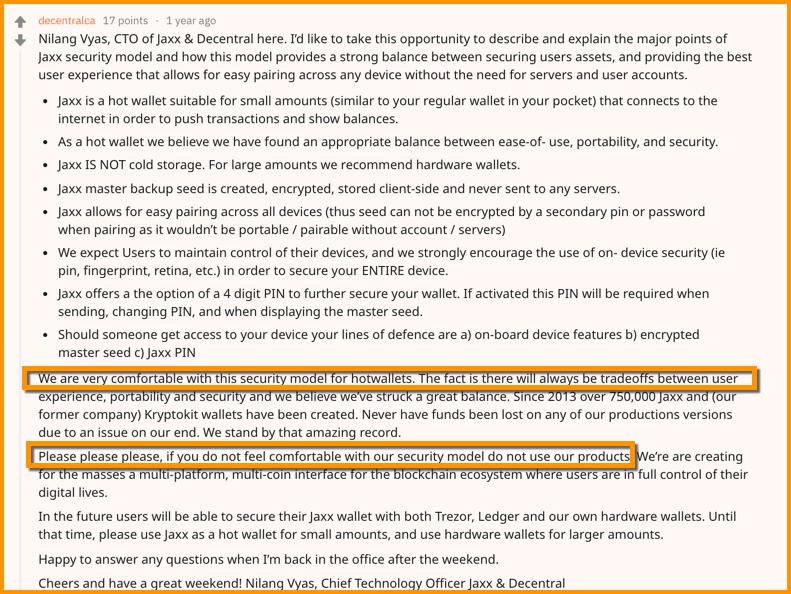 Of course, by giving some cons of Jaxx wallet, I didn’t mean to discourage you from using Jaxx wallet. Moreover, I think their security officer has changed, and they have become much more serious towards securing users funds. Another thing to understand while using any wallet, especially mobile or desktop wallets, is that security is not only the responsibility of the company, it is yours too. You need to exercise your common sense and stick to security measures while using cryptocurrencies & internet. 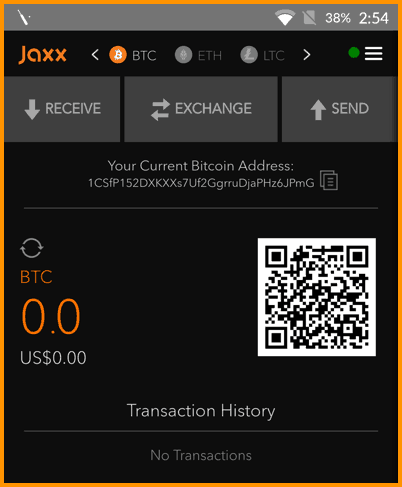 Jaxx has also launched Jaxx Liberty, their new wallet, which has better UI & security, but it is in the beta phase. Beware. Understand your exposures and behave appropriately to your risk tolerance. Update. We will continually work to improve Jaxx. You should always use the most up-to-date version of Jaxx wallet. Secure your devices. Phones, desktops, browsers: secure the device that you access Jaxx through with passcodes. Remember, if your device has been compromised (such as a malware infection) a malicious user can potentially steal your funds. Use passcodes! Hot vs Cold. Understand the difference between hot wallets and cold storage. Understand: there is no “absolute” security. Computer software/hardware systems are very complex and new ways of hacking coming out every day. For instance, a new vulnerability was in the news yesterday. When To Use A Bitcoin/Altcoin Mobile Wallet?